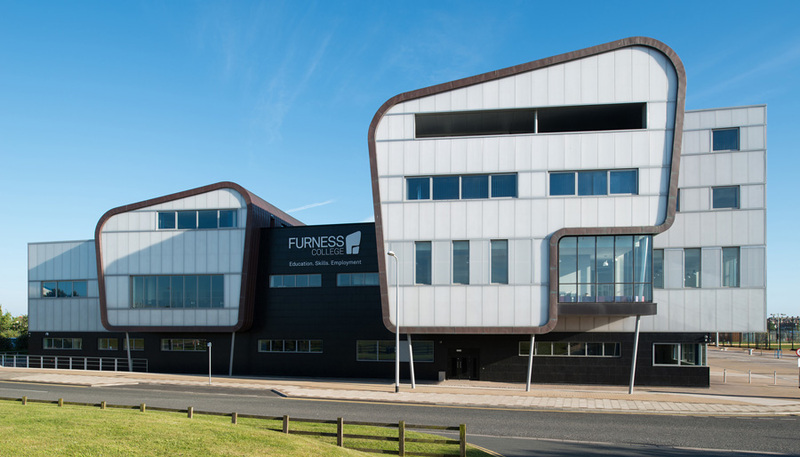 Furness College is a college of further education in Barrow-in-Furness, Cumbria. In order to meet its educational needs the Channelside Campus underwent a 42 million rebuild which was opened in 2012. Designed by architects Broadway Malyan the new complex features distinctive and visually pleasing curved forms – a key aspect of the college’s brand identity. Apart from creating an impressive façade, wrapping the building envelope in sheet copper provides a highly durable skin, designed to cope with the often demanding environmental conditions associated with its coastal position. 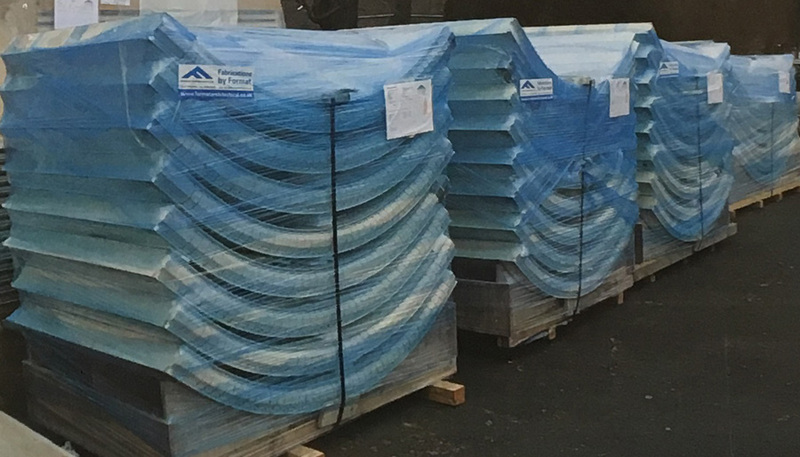 Format Architectural Ltd. were tasked with the installation and curvature of hundred square metres of 100mm thick micro rib panels for the outer structure. 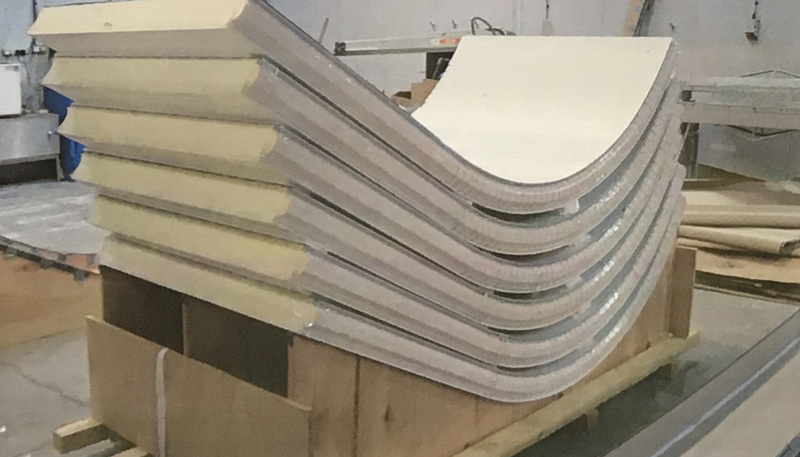 The composite panels were manufactured by Format Architectural using (material) combined with (insulation material). 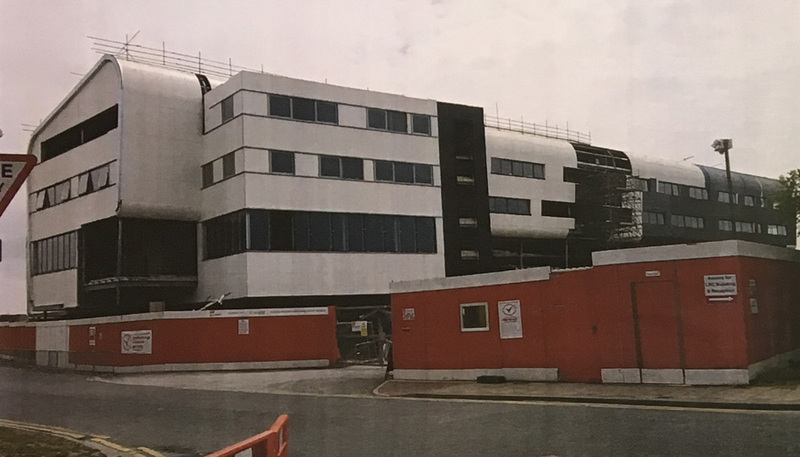 Each panel was precision made to ensure that it matched the exact dimensions and curvature required for the external cladding. It was fundamental that the curved panels met Rad 2 and ARC specifications. Once in place, a copper standing seam was then attached to the composite panels. The completed building received high praise from the client and was well received by the local community.